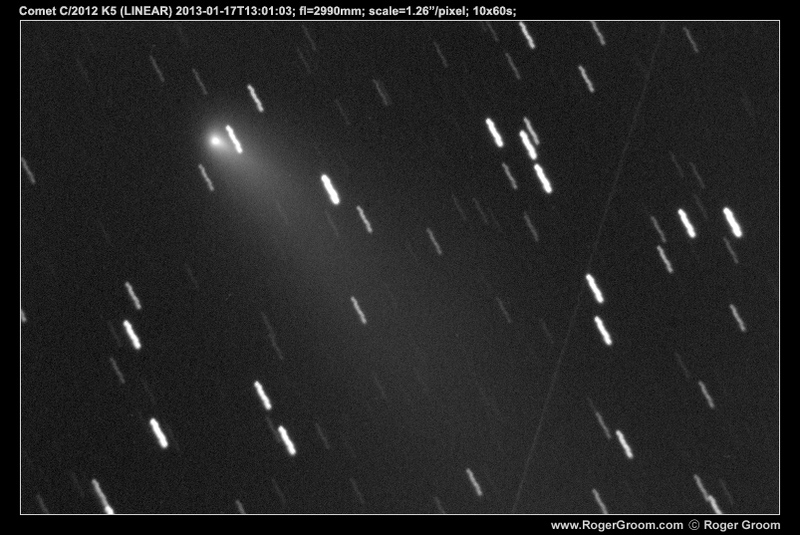 This page contains photographs of the comet C/2012 K5 (LINEAR). 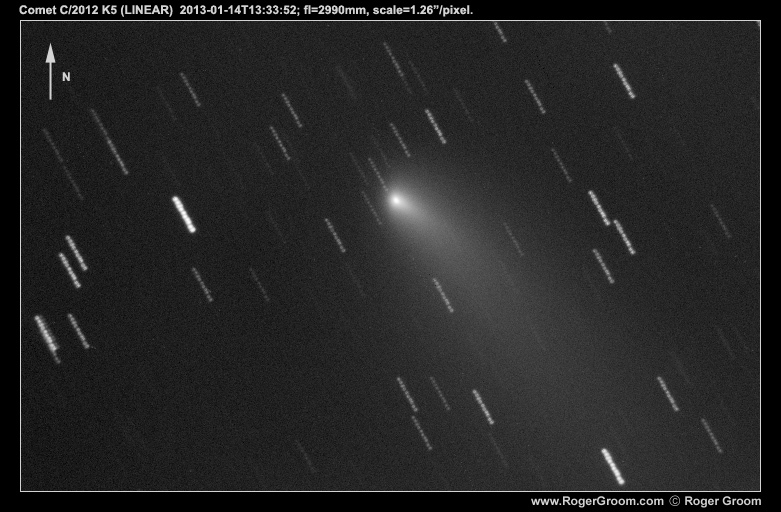 This is a reasonably bright comet I intend to regularly photograph over the coming month or two at least. Times shown are in UT, of the middle exposure of the exposure sequence from the given night/morning. 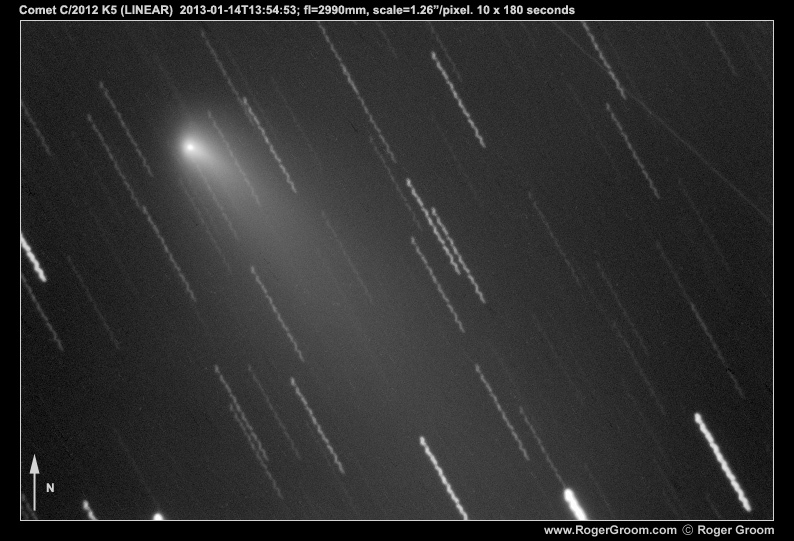 All photographs are taken using my 12″ SCT upon Paramount ME with SBIG ST8-XME camera using clear filter. 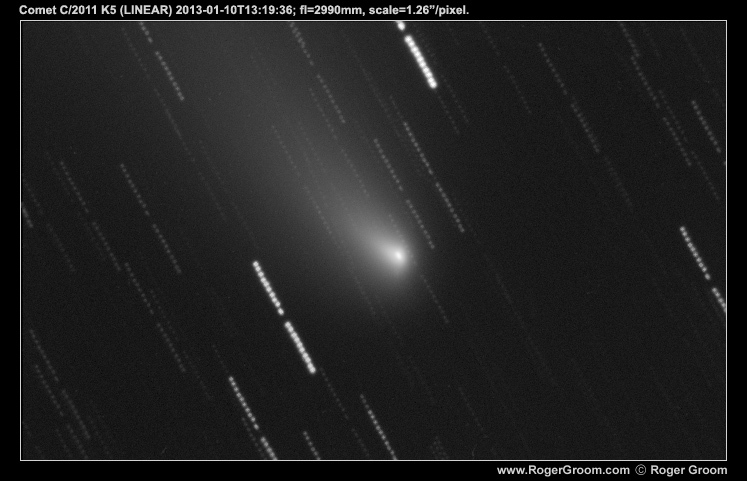 Focal length is approx 2990mm, Scale is 1.26 arcsec/pixel at bin 2×2.